WHY CHOOSE HEBEI NORTH UNIVERSITY? 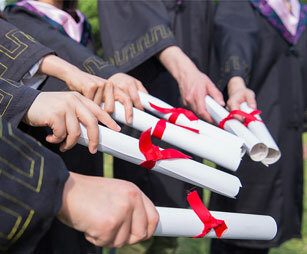 This is perhaps the most fundamental question that everyone around the globe asks before a critical decision is made especially when one is choosing a particular school and for that matter, it's the first question that pops out from the mouth of every prospective student of Hebei North University, WHY HEBEI NORTH UNIVERSITY?. Well, the answer is simple: we are among the best if not THE BEST. However, in order to make it less ambiguous, we have elucidated six important points to help you in your decision to study within the shores of Hebei North University less tedious. A good faculty is indispensable in the running of an educational institution especially one that is a medical school. All around the globe educational analysts, stakeholders, governments etc. have placed more emphasis on quality of education as the best tool for national development and this is dependent on a very good modern faculty. Hebei North University presents an access to the best medical faculties every student dreams of. The medical faculty of Hebei North University is equipped with modern and up to date scientific paraphernalia for research and teaching purposes manned by qualified individuals of the university. You may probably be wondering and perhaps been asking yourself, ''how is the classroom learning?'' Medicine is dynamic. It changes with time. It is our conscious effort to make sure that our course and programs are always up to date. This makes our students more and more current and rightly informed to the daily changes as far as medicine is concerned. b. OUR LEARNING & TEACHING ENVIRONMENT. The success of every student, medical students for that matter is dependent on a very good learning and teaching environment. The medical faculty (Hebei North University) is just present to provide you with such opportunity. With our fully furnished manual and electronic library, students can either borrow books or comfortably spend time with his/her reading at the library whiles enjoying the good atmosphere the place provides. The library provides both Chinese and English books, from one's chosen academic field to novels. Our first and second affiliated hospitals play a major and indispensable role in ensuring good academic atmosphere for students studying medicine in Hebei North University. Both hospitals were established in 1938 and 1951 respectively with the sole aim of proving good and effective clinical training to the university's medical students while at the same time serving the city of Zhangjiakou. The lecture halls are provided with comfortable seats and projectors to make classroom learning more enjoying and fun to both the lecturer and the students as well. One of the secrets to why students enjoy studying within the shores of our institution is that Hebei North University prides herself with lots of students on campus from different countries. This is an institution where you get the chance to meet and mingle with various students from various countries so that at the end of your six years studies, you do not only go home with a horde of knowledge but you also would have made lots of contacts with lots of friends from different parts of the globe. Our professors and associate professors are conscious of the daily changes in this day and age medical field. As mentioned afore, medicine is dynamic, it changes with time and it is our priority that teachers of this university get the first-hand knowledge of the current advancements in medicine so as to rightly inform our students. At the end of the studies, our students leave with a good prospect of future success as it has been proven with our academic record so far. c. OUR UNIQUE LOCATION TO THE CAPITAL CITY. Hebei North University is very close to Beijing, the capital city of the People's Republic of China. Our close proximity to the nation's capital makes a decision to study with us less than a choice as it provides you the great opportunity to easily trek the historic city of Beijing. China as it stands now is noted for its undisputed custody of many historic monuments and places and most of these historic artefacts (the legendary great wall, the forbidden city, Tiananmen Square, Worker' cultural palace, Zhong Shan park,, Happy valley, the ancient observatory, the Ming Dynasty City wall Relics, Chang'an city etc. Park) are all located in Beijing which is just two hours bus drive to Zhangjiakou city where the school is located. With the newly railway being constructed, it would take one only less than 30 minutes to take a train from Zhangjiakou city to Beijing and vice-versa. Although Zhangjiakou city is located near the Capital city, it still provides cheap commodities among other cities around the country. Expenses here in Zhangjiakou are reasonable. Local expenditure will also be in your pocket's limits. Students enjoy their stay all along the course of studies here. e. ACADEMIC RECORD AND ACCREDITATION. We are not only highly regarded in China, we are currently ranked second in the Pakistani Medical and Dental Council (PMDC) as students who excel in the examination are comparatively students from HEBEI NORTH UNIVERSITY. The institution is recognized by the highest health organization in the world, THE WORLD HEALTH ORGANIZATION as well as UNESCO, CSC, and CMC. Lectures are based on USMLE and PLAB so as to enable students who aspire to write the USMLE/PLAB examinations organize and prepare very well. With our occasional revised syllabi, our students excel very well as they go out to put their knowledge into pragmatic use. In Hebei North University, our students do not graduate with abstract knowledge but practical awareness of this noble profession.